Why we chose not to do Projects, Tasks, and Subtasks? In Swipes we try to improve how teams work. In fact, we just launched the Workspace - our vision for a more simple, pleasant and integrated space for the team's work. In order to create our vision we took some bold decisions. One of these decisions was the unusual wording we used in our product. 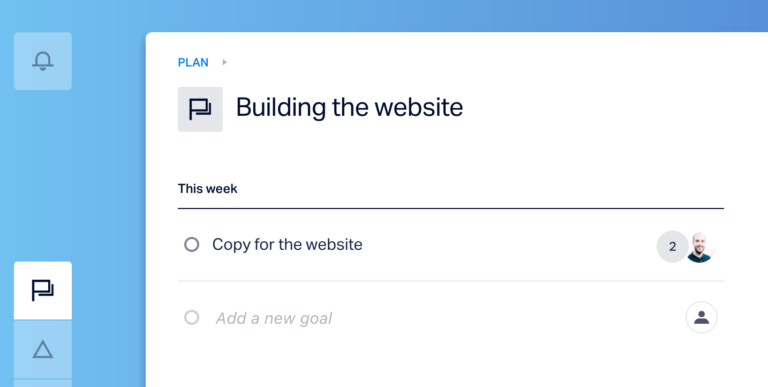 Instead of the standard project management lingo of Projects, Tasks, and Subtasks, we invented our own terms - Plans, Goals, and Steps. Here is why! As people, we see something new, we read about it, and a few key visuals and keywords are going to make up a mental picture. We will imagine what this new thing is and how we can benefit from it. These are also the things that are going to set expectations for us how we should approach this new product and how we can use it. At some point, we knew that we want users to approach our product more open-minded. In order for people to experience this new way of working, we should name the things for what they are. Not trying to map them to existing products or methodologies. not limiting people by micromanagement and "on the need to know basis" policy Most of the products in our category are using words like Projects, Tasks, Subtasks. There is nothing wrong with these words if this is the thing that you are searching for. For us, these words meant exactly the opposite of what we are trying to achieve. Maybe this is because of our previous experience with such tools. But that is exactly my point - it's very hard to change your mindset if you keep mapping things to the old habits that you have. In our case, we are not creating a tool just for the project manager (that's a key figure for each team but not the only person that ends up using the tool and needs to benefit from it), we are creating a tool for the whole team. We are not creating a tool where your tasks just come to you from above, and they are an isolated piece of information. 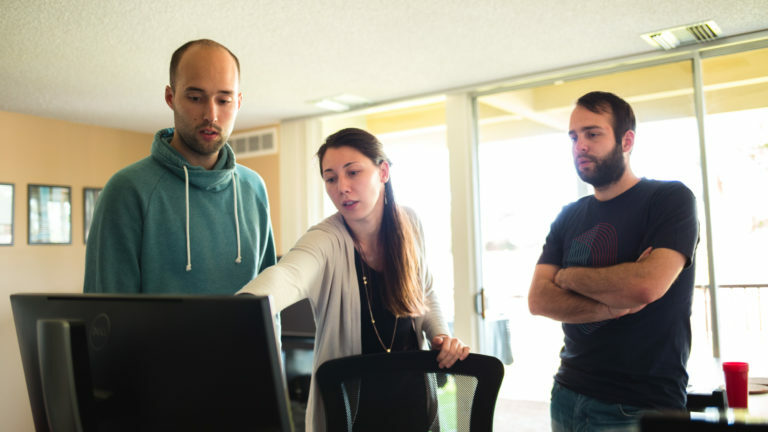 We are creating a tool where work is a collaborative, common effort from the whole team. We believe that work outside of the project management tools is happening in a very collaborative and human way. This is what teamwork is all about. Not doing your isolated little tasks every day, but feeling that you are part of the team, that you are creating something bigger together. And this means being part of the challenges, problems, solutions, random information, wins and losses of the team. To have this level of engagement, it requires knowing the state of work for your teammates without having to interrupt them and ask them all the time. Such high awareness brings up the benefit that you can be a better colleague and help your teammates resolve a situation without them having to ask for it. Like every cell in your body knows what is happening in every single moment inside you. You should feel the same way in your team. As you see, a tool, the way it's designed and organized drives the behavior in your team. That's why we decided that the wording in our product will be more down to earth. It should communicate the things we believe in. In the Swipes Workspace, you are creating Plans, Goals, and Steps. The plan is the biggest item in the Swipes Workspace. Let's say a team has to build their website. First, they need a plan. They can just open the Workspace and create a Plan called "Building the website". Then you need to map out the Plan and who is going to do what. In a lot of tools here is a whole layer missing. And that's the layer in which you see that the team is separated in groups. For example, a designer and an UX person will work very closely together. A copy writer and a marketing person will work together. A front-end developer and a back-end developer will work together. They will have common goals to work on in order the plan to work out. So our Plans are composed out of Goals. At this point, everyone in the group knows what their part is and when exactly their help is needed. There is nothing more to know, from here on it is work that has to be done. There are a lot of benefits to this approach that I'll dig into the next articles. If you want to improve teamwork, you need to change your mindset! And to help drive this change, our team has designed a new team experience from scratch and restrained ourselves from using old metaphors. 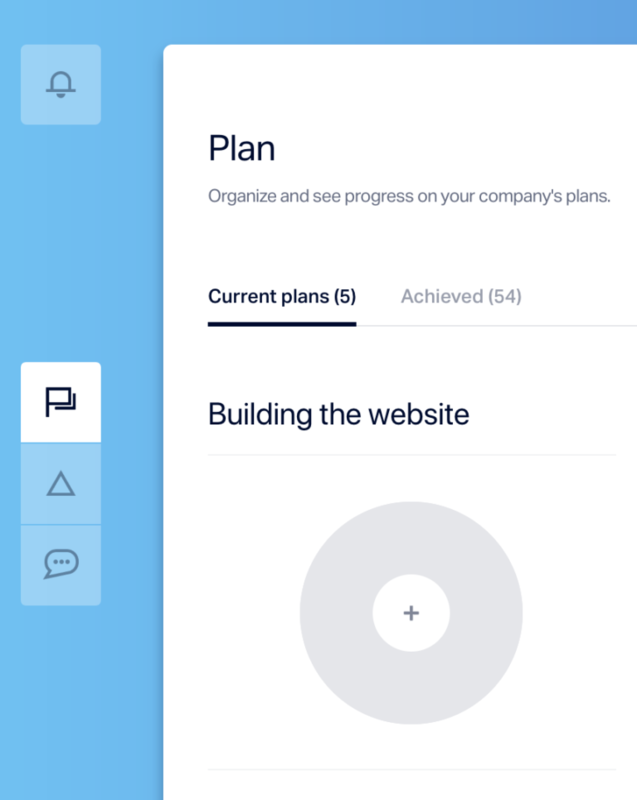 We wish for people to try the Workspace with an open mind, to not trying to use it like yet another project management tool. We did not include the words Plan, Goals and Steps just for the sake of being different. We chose them very carefully to represent the trends we believe in are the driving force for the modern work culture. We believe that if you want to improve teamwork, you have to change your mindset and try something radically new. If you don't think that this is the right wording for you maybe the product is not the right one either. But if the words click with your way of doing things and you are excited - just jump to the workspace and give it a try! What is the experience you want to create in your team? What approaches - methods, tools, and processes have you tried so far?